The matter of signing the paintings has always been problematic to me. I do not like to disturb the surface without careful consideration first and at best find the act of signing something uncomfortably self-conscious. Sometimes this is not the case. My latest idea is to make a handprint on the back of the work to reference the hand-made nature of the painting. 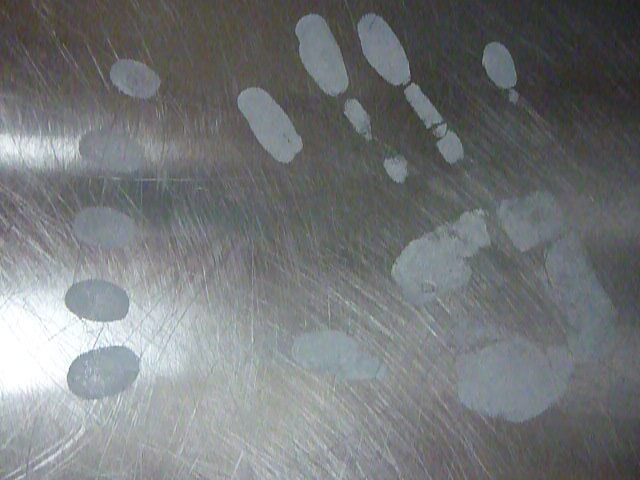 A handprint is a general signature but also an individual one, like modern day fingerprinting the print is unique to me. I am conscious of being inextricably bound up in the work. 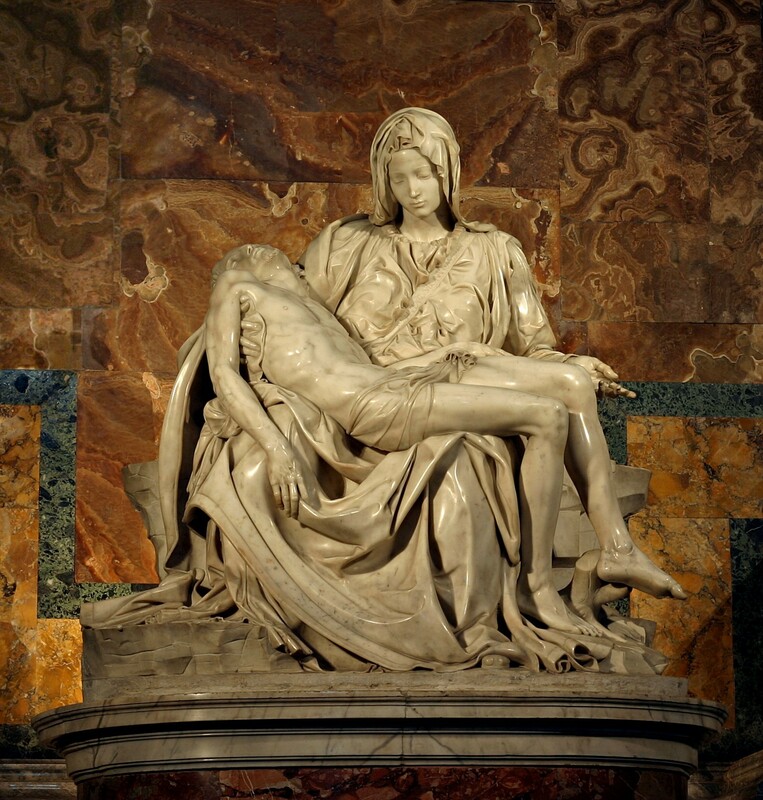 According to Giorgio Vasari, shortly after the installation of his Pietà, Michelangelo overheard (or asked visitors about the sculptor) someone remark that it was the work of another sculptor, Cristoforo Solari, whereupon Michelangelo signed the sculpture.Michelangelo carved MICHAELA[N]GELUS BONAROTUS FLORENTIN[US] FACIEBA[T] (Michelangelo Buonarroti, Florentine, made this) on the sash running across Mary’s chest. The signature echoes one used by the ancient Greek artists, Apelles and Polykleitos. It was the only work he ever signed. Vasari also reports the anecdote that Michelangelo later regretted his outburst of pride and swore never to sign another work of his hands. Posted in Context, Experimental, Methodology, Notes to Self, Pictopoiesis, Research, Uncategorized, Work ongoing. Tagged cave art, fingerprint, Hand, Michelangelo, Pieta. Next: Next post: Why is Simpler Better?